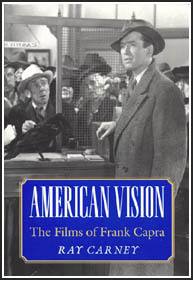 I inquired some years ago about your project on Keaton and Chaplin (the book which would have concluded the Cassavetes/Capra books) and have been thinking about it since then. I would love to read (part or all of) the work you did on this book -- is there any way you would consider sharing it with me? If it helps, I have no intention of using this work as a source for any of my own work (I'm not even affiliated with a university), I'm just a fan of silent comedy and of your writing. I'm still hundreds (thousands?) of emails behind from the period in which the site was in hiatus and only slowly trying to catch up. (See the bottom of Mailbag pages 101 and all of 102 for information about that.) So this is a late posting, but still an important one. Brad Kimbrough was one of the best (and most serious) B.U. students I've ever had, and we looked at a few Bruce Conner films together in a course. He sent in a link to an obituary notice. -- R.C. Sad news today, with the passing of Bruce Conner. Thanks for showing us his work. I've been wanting to email you for some time. About a year ago, I purchased several books from your web site--Why Art Matters, What's Wrong with Film Books & Necessary Experiences. Those books really did brain surgery on me. At film school, they never teach you to be honest. They never ever tell you to make a film from your heart. Your work has empowered me to do that. Its given me the confidence that how I see the world is a good enough start to make a film without having to worry about twists and turns. I feel really grateful that I came across your work. Thank you. While reading your books, however, I couldnt help but wonder if you have considered video recording your classes? Maybe create a video podcast or a series of film school videos. I would certainly be willing to pay to watch that (much prefer to watch it for free :-) but anyway...) I'm sure, like myself, a lot of your readers would love to "spend a day" in one of your classes and learn from you. Or how about a regular audio podcast? Also, check out a piece of software called ClickBook by bluesquirrel. It can transform any Ms Word or PDF document into a proper folded book on any printer! I suggest this is because Why Art Matters & Co. were rather bulky in size and only used one side of a page. Clickbook is eco-friendly in that can drastically reduce the number or pages and physical size. I use it all the time when sending out scripts. The web site is kinda tacky and you cant get a real sense of what the program really does until you try it so I would encourage you to install the trial and see how useful it can be to you. Finally, and the main reason why I've emailed you is with regards to your web site. I'm a big fan of your site but over the past year or so, I cant help but notice there's hardly been any changes or new material. I'm assuming its because your very busy or perhaps you have to rely on someone else to maintain it. Have you considered using WordPress? Its a free web based publishing platform and it will easily let you publish your articles, allow comments from users, host videos etc, all without you requiring any programming knowledge. Its really very easy to use. I'd be more than willing to assist you in any way to transfer your existing site to the wordpress platform just so I can read more of your online material. You dont have to hesitate, it would be my pleasure to do this for you but even if you dont, please please do add new material to your existing site. RC replies: There are specific reasons for the lack of updates to the site for the past eight or nine months and they don't have to do with software. (See the bottom of Mailbag 101 and all of 102 if you care.) But I post your kind and thoughtful note in case any of the software you recommend can help others. We all need all the help and advice we can get! I appreciate your offers and information very much. Thank you. -- R.C. Next time I'm in Boston will you please watch a film with me? Any film, you choose. It's one of my "10 things to do before you die". Not really, but it is something I'd like to experience. P.S. Off the top of my head (and after no more than ten seconds of thought): I'd pick "Ten Tiny Love Stories," "Nine Lives," "Things You Can Tell Just by Looking at Her," "The Sacrifice," "The Rules of the Game," or "Femme Douce" to view with you. I'm curious what site readers would pick as their "Bucket List film." Send me your nominations and I'll publish them. No more than four films per individal nominator, please! This came in from site regular, former Boston University film production student, Lucas Sabean, one of my favorite people -- and a hell of a filmmaker. -- R.C. "But while we are confined to books, though the most select and classic, and read only particular written languages, which are themselves but dialects and provincial, we are in danger of forgetting the language which all things and events speak without metaphor, which alone is copious and standard. Much is published, but little printed. The Rays which stream through the shutter will be no longer remembered when the shutter is wholly removed. No method nor discipline can supersede the necessity of being forever on the alert. What is a course of history or philosophy, or poetry, no matter how well selected, or the best society, or the most admirable routine of life, compared with the discipline of looking always at what is to be seen? Will you be a reader, a student merely, or a seer?" RC replies: Openness, receptivity, attention, presence .... All of life, all of creation, all of growth and discovery is in those modes of engagement. But how rare they are.... We go through most of life with ideas, expectations, emotional baggage blocking our view. We don't call those things prejudice or bigotry, we think we're better than those kinds of people, those bigots.... but that's what they are. We live most of our lives trapped in forms of intellectual and emotional closure.... and death. A note from Ray Carney: I wanted to give a shout-out to an internet interview series that recently came to my attention. It was created by Dan Schneider six or seven years ago and features many interesting and iconoclastic contemporary artists, writers, and thinkers. While Charlie Rose and Terry Gross wheel-in and debrief the same old same old mainstream pundits, high-profile authors, and mass media celebrities week after week with the same old predicable results, Schneider seems genuinely interested in alternative views and voices. Interviews with Edward Hoagland, Daniel Dennett, Steven Pinker, and Mark Rowlands have been among his recent postings, and Paul Krugman and Philip Zimbardo are scheduled for upcoming interviews. I recommend his postings. (In a spirit of full disclosure, I should admit that I only discovered the site when I myself was contacted about possibly doing an interview with Schneider; but my own interview has not been conducted, or even scheduled, so my mention of the site is not an attempt at promoting my own ideas.) Links follow. -- R.C. I received this in the mail. I highly, highly, highly recommend this show and, more generally, all of the work of Mark Rappaport (fiction, non-fiction, photos, and films), one of the best-kept secrets in American art. A great-souled genius of a filmmaker who was mapping the unrealities of American culture and American emotional life long before scholars were writing essays on the subject. -- R.C. 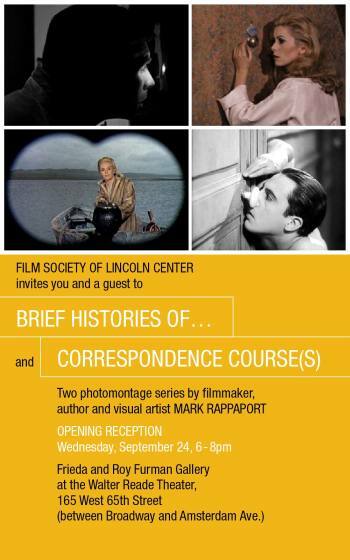 The Film Society of Lincoln Center invites you and a guest to the "Brief Histories Of and Correspondence Course(s)", from two photomontage series by filmmaker, author and visual artist Mark Rappaport. Join us to the opening reception on Wednesday, September 24, 6-8pm, at the Furman Gallery at the Walter Reade Theater, 165 West 65th Street (between Broadway and Amsterdam Avenue). A note from Ray Carney: There are not many Mark Rappaports in the world, but there are many neglected or overlooked filmmakers. Especially if they attempt to be artists, not business people; if they attempt to create something that is not about selling a product or making a profit. Never forget that the programmed experiences and emotions that mainstream movies offer are selling you an experience just as much as an amusement park and a video game do. In the mainstream, it's ALWAYS about selling you something -- usually to flatter you and make you feel good about yourself. The experience in the mainstream movie is no different from selling makeup to women or hot cars to men. The non-commercial filmmaker is never going to be supported within the framework of capitalist economics and for-profit screenings, because his or her work is not about creating money-making products and feelings. That is why that kind of filmmaker must rely on festivals and curated screenings for exposure. The following open letter is from noted independent filmmaker Barbara Hammer, and continues the discussion of issues related to the role and function of contemporary film festival curating that Su Friedrich raised in the letter I posted toward the bottom of Mailbag page 106. Though it is not directly related to this issue, Hammer's letter reminds me of my own experience with Sundance when I told them about my discovery of the first version of Shadows and asked if they were interested in possibly screening it. For weeks, and in the face of repeated inquiries, they wouldn't even bother replying to my emails. Curators have a very inflated opinion of themselves. It's easy for them to forget that the festival is not about them, but the films. -- R.C. I believe this question of curating should be open and part of a community solution so I am writing to all of you. I, too, had the sinking feeling upon reading the program list of excellent filmmakers most of whom were all men. There are very few women included. Very FEW. This feeling was complicated by the fact that I have returned to experimental film with a new work I finished last spring. In searching for a venue, I thought the New York Film Festival with its avant-gard weekend showcase would be perfect. After writing someone else I got Mark McElhatten's email address. On June 16, 2008 I wrote him that " I had a new 30 minute experimental film that I thought he might want to see". I asked him for a mailing address. There are several things that could be helpful with this issue. 1) The curators email and contact addresses could be listed. 2) The curators could put out a "interest in new work" request. 3) The entire selection process could be reviewed by a group of experimental film/video artists and curators who would come forth with a revised process proposal. With the Paul Taylor Dance Company back in the studios for rehearsals, and Mr. Taylor working on a new dance set to Francis Poulenc's Gloria, tickets to the Company's 2009 Season at New York City Center go on sale September 2. The Season, from February 25 through March 15, 2009, will feature a spectacular collection of 19 Taylor dances, from Scudorama and Private Domain, both made during the 1960s, to the New York premieres of the newest dance and Changes, set to songs sung by The Mamas and The Papas. For a glimpse of the Season, click here. To buy tickets online, click here. The Paul Taylor Dance Company will follow the Fall creative period by giving a total of eight performances in Bangkok, Hong Kong and Taipei between October 3 and 19, 2008. The Company will then perform in California, Alabama, Illinois, Massachusetts, Georgia, Missouri, and Florida, all before Christmas. For a list of all tour dates during 2008-09, click here. For a list of Taylor 2 performance dates, click here. This legendary work from 1963, which Mr. Taylor described in his autobiography as a "dance of death leavened with light touches," was intended to be as dark as Aureole, from the previous year, was light. Due to the mysterious disappearance of its specially commissioned score -- found at a bus station in Connecticut 10 years later -- the world premiere of Scudorama was performed without music, but the audience loved it nonetheless. The Company will perform Scudorama in St. Louis in November before bringing the dance to New York. The 2009 performances will mark its first return to City Center since 1969. Pictured above, Bettie de Jong and Mr.Taylor, part of the original cast. Mr. Taylor takes another look at the 1960s in Changes, which had its Company premiere at The Mahaiwe Performing Arts Center in Great Barrington, MA on May 31, 2008. Changes was inspired by the events of the turbulent 1960s and focuses on the radicalization of young people as they defied authority and embraced liberation movements. It is set to songs sung by the renowned folk/rock group, The Mamas and The Papas, including an anthem of the era, "California Dreamin'". Following its performance in Denver, CO, the Denver Post called it "An entertaining, high-energy romp... Taylor has crafted a kind of choreographic time machine, taking his audiences back to the 1960s, complete with psychedelic, period costumes and movement based on the social dances of the time." Changes will be performed in Geneva, NY; Escondido, CA; and Birmingham, AL before coming to City Center on March 3. 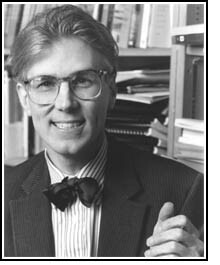 The next issue of TaylorNotes contains an interview with Robert Kleinendorst. Here's a preview of Rob discussing Eventide, which will be part of the 2009 repertoire: "I absolutely love that dance. That's Paul at his most pared-down and it's gorgeous. It really shows his craft - to have sections with just some running and walking in a circle, with little vignettes in the middle. Nothing mind-blowing, it just draws you in. And that last exit with the two lines: amazing! I'm very happy I got to dance it with Julie because she's just a wonderful partner... It's very touching; it's so simple and it really speaks very clearly about all of our little triumphs and losses within a relationship. And Vaughan Williams - gorgeous, gorgeous music. The costumes and the backdrop: forget it. It's a beautiful dance." If you're on Facebook, consider becoming a Friend of the Paul Taylor Dance Company and taking our 10-question Taylor quiz by clicking here... and then clicking on "Quiz." An appeal to readers of the site: Through the site email link (Raycarney@usa.net) I receive hundreds of emails from young people -- students, artists, former students, aspiring artists -- and from lovers of art of all ages. Many, in fact the majority, of the messages express dissatisfaction with the world, with the state of American culture or the arts in America, or describe the writer's feelings of aimlessness, powerlessness, and purposelessness. There is often little I can say to console or advise the writers. There is often little that I think they can do to change how things are in the all too imperfect world we live in. But for the next two months every person in America has a chance personally to change the system, to affect the future, to improve the world he or she lives in. I want to implore the young people who have written me, or who are now reading this statement on the site, to spend a few dozen hours or days in the next two months working for a political candidate of their choice. In terms of the presidential election, I will not hide the fact that I myself personally am now committed to help elect Barak Obama (and think that anyone who supports John McCain and Sarah Palin needs to have their head --or soul--examined!) But you don't have to agree with that conclusion: The facts are undeniable that America has lived through the most morally compromised, politically corrupt, and fiscally and internationally disastrous eight years in its history. Do you want it to continue? Are you willing to remain silent? Will you do nothing to stop it? Do you care so little about the future of your society, and about the welfare of future generations that you are unwilling to devote a few evenings, a few weekends, between now and the presidential election to help heal the wounds and change the course of your country? Never forget: The future is open; the future is yet to be determined. You really can affect it, if you are willing to try. The only way to make sure nothing changes is to do nothing. Volunteer to work for a political candidate of your choice. Find someone in your city or town who is out on the streets registering voters, handing out literature for a candidate, or manning a table at a booth, and ask them how you can help; ask them who you can call or email to get involved with the campaign and the election. Don't hesitate. Don't wait. Don't put yourself in the position of looking back in mid-November regretting that you did nothing to affect the outcome. I truly believe you can make a difference. The system wants to make you feel powerless so that you won't do anything to change it; but it's a lie. Each of us can change the world if we will only try; the problem is that so many people don't try. They despair; they accept what is; they agree to feel powerless; they do nothing. If you need additional persuasion, do it for the experience itself. I promise you that you will have a wonderful, consciousness-expanding experience no matter who you work for or what you do. You will meet dozens, even hundreds, of new people -- thoughtful, passionate young men and women of your own age; older people; professionals and blue-collar workers; political insiders and outsiders of all stripes -- and probably become close friends with some of them. You will have a chance to talk to, and learn from, people with radically different views and understandings of the world than your own. (What a learning experience. What an opportunity for an artist!) You will, if you really put your heart and soul into what you are doing, make yourself part of something much greater and larger and more important than yourself. (All of life is about that, but how few opportunities to do it are presented; we live most of life in a self-centered cocoon.) In short, you will have a great, exciting, unpredictable adventure. What's not to like? What are you waiting for? Call or visit a local political office and tell whoever you talk to that you want to volunteer to help. And that you want to start immediately -- after work on your first free day or evening. Please do it, first-thing tomorrow. Then throw yourself into it -- totally. Give yourself over to it. What a joy to have something to throw yourself into in this way. And, it's only until early November; so what do you have to lose? And think of all you -- and the country -- have to gain. -- R.C. A postscript: For another take on this subject, see the boxed material on the bottom of Mailbag page 112. Raymund Cruz, who lives in Manila, is one of the most faithful contributors of content to the site. In this note, he provides a link to an article by Donal Foreman and to some of his own work. Although I have not personally accessed these links, I am glad to post them for the benefit of others. (I'd ask American readers to please make allowances for the fact that Raymund is not a native English speaker.) -- R.C. Greetings! The internet has now been reinstated with Pragmatism. The Ray Carney mailbag has been revived! Praise the heavens!!!! Anyways, I have watch almost all John Cassavetes films (with the exception of Gloria). I must say that my favorite is still Faces . Get me every time, even with a fourth viewing. The more I watch it, new thoughts resonate. In relation, I have a few questions. How did John Cassavetes light his films? Did he light his films heavily? Was there any lighting at all? I hope that you could share something about it. I'm working on a film now that deals with a lot of Improvisation. This could help me with the film. It's great reading about John Cassavetes, Mike Leigh, Henry James and Edward Hopper. Are you cooking up writings about Robert Bresson, Andrei Tarkovsky or Abbas Kiarostami? Or anything about Anton Chekhov, Alice Munro or Thomas Hardy? Be interesting to hear your opinions about these genuises. I hope that everything is well with you. And wishing that you are still sharing your ideas to countless artists. We need more writings regarding the inner emotions of cinema, how it interacts to the human race. Speaking of writer, Donal has written a wonderful piece on Kramer and Godard. If you haven't read it, here is the link. P.S Just an attempt, here are some of my short documentaries. Crossing my fingers cheats in that your mac.. The lighting in most scenes was simply fill -- photofloods placed in floor lamps and taped or clamped to the walls or ceilings. Cassavetes not only "lighted his films" (as you put it), he overlighted most of them, either to compensate for the slowness of his stock (in Faces) or because of the inexperience of his cameramen and his lack of a D.P. (Cassavetes functioned as his own D.P.) That's why many shots in his movies are far too "hot." Look at the scene in Woman Under the Influence where Mabel is sitting down talking to Nick just before the doctor arrives. It's terribly poorly metered. Way overexposed. But such "problems" are actually evidence of how little such things matter in a movie. Production students and professional directors who obsess over how a shot is lighted are paying attention to the wrong thing. It's only when nothing is going on on stage that people notice the scenery and it's only when a Hollywood movie has nothing else of interest that viewers or reviewers spend their time ooohing and aaahing over the "beauty of the photography." Down with beautiful shots! The "rise to power of the Cinematographer," I call it somewhere in an essay is one of the problems with American films. One more triumph of style over content in the usual American way (look at the stupidity of the scripts in American network television shows and the beauty of the photography). Yes, I'm still writing every day. It's as important to me as breathing. I feel like I'm not fully alive if I'm not working on something, whether it gets published or not--that's doesn't really matter. The work is the joy and the only real sadness I feel is when a long-term book or project is actually finished and done with -- the day it is turned in or the last revision is completed. (That moment feels sad -- like not being needed or wanted. Do you know what I mean?) It seems terribly important to me that we do challenging, creative things every day. It's necessary. It keeps us in touch with what matters. So much of the world is a conspiracy to distract or divert us from what is important. So I write something everyday, even if it's only jotting down a few pages of notes for a future project. I listen to a challenging piece of music every day (today it was Book 1 of The Well Tempered Clavier ). I read something good every day (yesterday it was a few Chekhov stories and part of an astronomy book called Deep Space, today it's Shakespeare's Timon of Athens). Life is so short and there is so much I don't know or haven't had a chance to explore or express that there's no time to waste. I really think we need to keep our minds and our perceptual apparatus tuned up or they get flabby just like our muscles. Even a few days of not stretching them lets them get weak. I'm convinced that ideas don't matter at all; but perceptions do, and that we have to keep tuning our eyes and ears and minds by making an effort to listen, notice, and think in challenging ways every day of our lives or we'll simply lose the ability to hear and see and think in sufficiently sensitive ways. Well, I guess I got a bit carried away with that answer! Sorry. Keep working. Keep listening and noticing. Stay open and (as Henry James put it): "Try to be one of those on whom nothing is lost." Nothing -- neither the painful nor the pleasant, the beautiful or the ugly, the frightening or the exhilarating. It's all material for discovery and growth.